It is the day after my birthday and i have woken up with regrets, like after a night out with alcohol and you dont really know what you have done or what conseuqneces their may be from the actions you barely remember. Though i wasnt out dancing or drinking, instead i opened up to my mum about how i was feeling. As mentioned before i began feeling very nauseous and ill and really didnt feel so well physically and then i just got stuck in my own thoughts and began feeling really gulty as i had promised my boyfriend that i would go to his place but because i felt so ill i didnt really feel like it, and that just made me feel guilty as i had made a promise. But there were other things aswell, but anyway i just felt it was too much feeling so physically ill and mentally stuck in negative thoughts. And so i told my mum and of course she was already aware somewhat though i think she still thinks it is a bit of a phase. Anyway she said she would help me look for places to go to therapy and als some form of natural medication/herbs that might help me. And i am thinking, it is worth a try because it cant make things worse anyway. It felt good to open up, but at the same time i felt so guilty and so embarrassed, for some reason i feel so ashamed and embarrassed about my problems and would prefer to not talk about them at all. Even if at times all i want to do is talk to someone, once i do i feel embarassed and regret it later. But i am trying to remind myself that what is done is done and it can only be a positive thing even if my mind is telling me that it wont help and it has just made things worse. If i can be open, somewhat about how i am feeling on here then i should atleast be open to my family about how i am feeling. So trying to push aside the regret and embarassment today as well as the guilt of feeeling like a terrible person and just move on. It is a new month, 31 days left of the year and who knows maybe by the end of the year i can feel somewhat better? I am hoping that anyway. For now I am just taking each day as it comes and going to focus on trying to make my life the best it can be and focusing on positivity again. 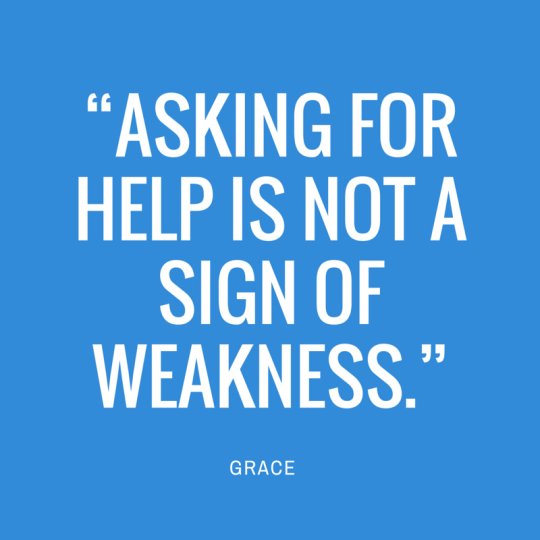 The first step to change is always hard, but also admitting that you are struggling and need help can be hard. But it is an important step and not suffering in silence.... the next step i guess is eventually to tell my boyfriend, though i am pretty sure he already knows by this stage. But i might need to openly talk about it as well, hopefully sometime i will get the courage to do that. Izzy, there is no better you can do than opening up and talking. My heart goes out to you amidst all your suffering from doubts on top of the other things. I hope and trust you will see in time how deeply, deeply good this was. Love, and WELL DONE. It is so good that you have at last opened up and talked things through with your mum. Please don`t have regrets or feel guilty for this - you needed to share your struggles with someone close and who better than your own mum? I`m sure she will help you and things will begin to get easier for you now that you have unburdened yourself.